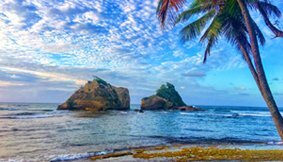 The island of the Dominica, not to be confused with the Dominican Republic operates one of the most affordable and efficient citizenship by investment programs in the world. 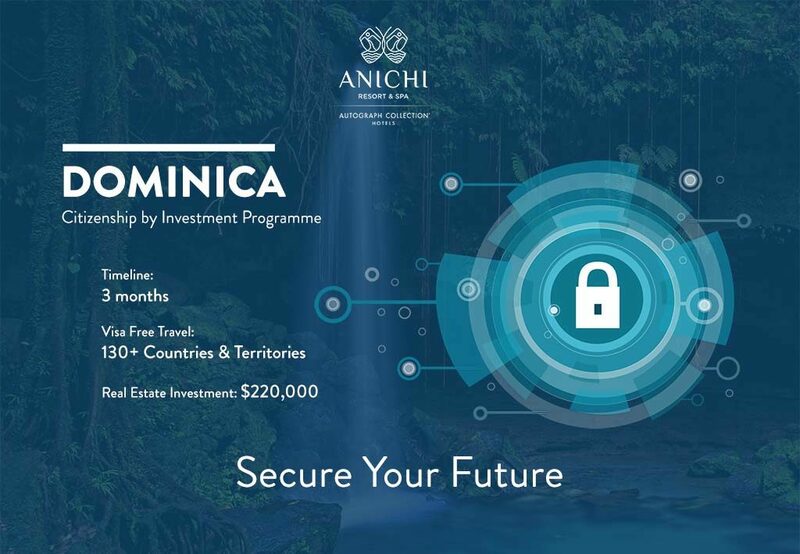 For over 25 years, the Dominica Citizenship by Investment Program has helped thousands of individuals improve their standard of living, optimise their tax efficiency, and ultimately experience the world with less travel restrictions. It’s continued excellence is the reason why it has been consecutively ranked #1 in the world by Professional Wealth Management. Obtaining citizenship from Dominica is a process that takes approximately three months, during which time applicants are never required to visit the country. In-fact, applicants are never required to visit Dominica – not even to maintain their citizenship once its approved. Unlike the citizenship program of other Caribbean islands like St. Kitts & Nevis, and Antigua & Barbuda, Dominica Citizenship by Investment Program doesn’t restrict any nationalities from applying for citizenship, but instead judges each application on a case by case basis. So how can you apply for citizenship from the Citizenship by Investment Program of Dominica? It’s quite simple really. The government allows individuals with the financial means to purchase Dominica citizenship by donating money to its Economic Citizenship Fund or by purchasing property at any one of its approved real estate projects. Anyone over the age of 18, who is of good health, has a clean criminal record, and financially capable to pay the investment amount can apply for citizenship from Dominica. As a matter of fact, applicants can apply for citizenship and include their families on their application. Dominica Citizenship by Investment Program actually allows for the parents and grandparents of an applicant and his/her spouse, who are over the age of 55 to be included on the application; as well any dependent children of the applicant, who are below the age of 30. Obtaining citizenship by donating money to the government’s Economic Development Fund is the most affordable option, and starts at $100,000. This non-recoverable option is usually the preferred option for single applicants seeking citizenship from the Caribbean island. 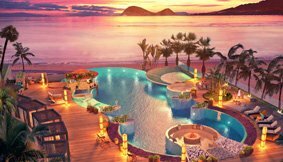 Applying via an investment in an approved real estate project, like Anichi Resort & Spa, starts at $200,000. 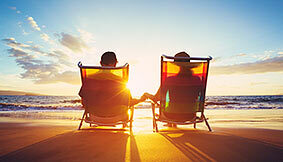 Though a bit more expensive, investing in approved real estate offers the added benefits of earning a yearly return from the resort’s performance, and the option of recovering the investment by selling the property after a three or five year term. In addition to the investment amount paid by applicants, there are also government fees, processing fees, naturalisation fees, passport fees, and due diligence fees, that must be paid with every application. Due diligence fees are charged for the main applicant and any dependant over the age of 16. If you’re going to spend hundreds of thousands of dollars on a second citizenship, then it better check most, if not all, of your boxes. Thankfully Dominica’s citizenship offers benefits that are worth every bit of the investment made to acquire it. With a Dominican passport you can travel visa free to over 130 countries and territories, including the United Kingdom and the Schengen region. There is also the added benefit of tax optimisation as Dominica carries no estate duties, property, capital gains, or global taxes. Further, as its currency is pegged to the US dollar, and has been for over 40 years, it offers a shield of protection against your net worth, especially if you hail from a country whose currency is volatile and always at risk for devaluation. Citizenship received from Dominica lasts a lifetime and can be passed down through your generations. 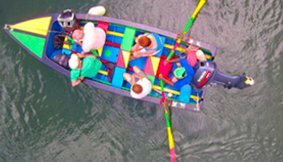 Leaning the English language, or residing in the island is not required; however, if desired, applicants can live and work not only in Dominica, but also in all of the member states of the Organisation of the Eastern Caribbean States (OECS). This is particularly important for those, who live in politically, and socially volatile countries. Having a second citizenship from Dominica gives you a backup plan, should you ever have to suddenly vacate your homeland. In Dominica, the Citizenship by Investment program is managed by the Citizenship by Investment Unit. The government authority is responsible for accepting, reviewing, and approving applications for Dominica citizenship. Under the stewardship of H.E Ambassador Emmanuel Nanthan, the Unit has evolved to two branches – one in Dominica, and another in London. With continued improvements to the Citizenship by Investment Regulations, and the implementation of an online portal for application submission, the Unit has continued to improve its efficiency. Today it operates one of the fastest processing Citizenship programs in the world. The attention placed on continually improving Dominica Citizenship by Program by the Citizenship by Investment Unit has for years gained recognition from key industry professionals and thought leaders. In 2016, the program was awarded the title of Best Caribbean Citizenship Program at the Russian Global Citizen Awards. In February of the following year, Arton Capital ranked Dominica second out of twelve programs; and by June of the same year, the Financial Times’ Professional Wealth Management magazine ranked Dominica Citizenship by Investment Program as number one on its CBI Index. In 2018, Dominica’s Citizenship by Investment Program again topped Professional Wealth Management’s CBI Index, validating its position as a highly reputable and valuable program. In the 25+ years that Dominica Citizenship by Investment Program has existed, it has survived changes in government without ever being disbanded. Each political party’s commitment to continue the program is driven by the fact that the citizenship program is a vital pillar of the Dominican economy. The foreign direct investment earned from the Citizenship by Investment Program is directly responsible for funding major development work in Dominica, including the rehabilitation of road networks and the Douglas Charles Airport, and the construction of residential communities and five-star resorts, to name a few. Thinking of obtaining a second citizenship from Dominica by purchasing property from one of its approved real estate projects? At Anichi Development, we offer lifestyle solutions that provides you with the second citizenship you desire, ownership of redeemable shares, a driver’s license and other important citizenship documents, all at one inclusive, and affordable cost. Each solution is customisable to your specific need. Contact us today to explore your citizenship options.